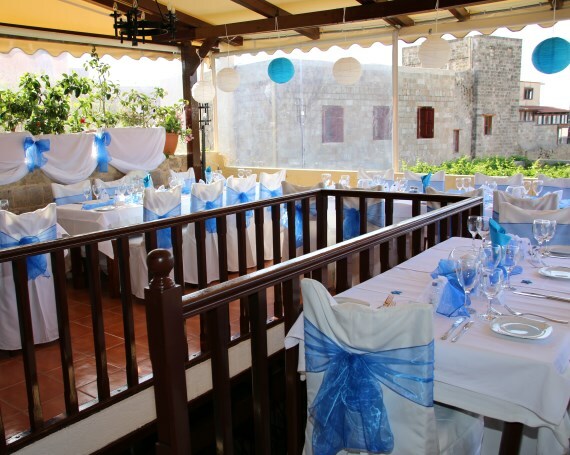 A firm favorite of ours, Tsambikos Taverna is very experienced in arranging weddings and events. 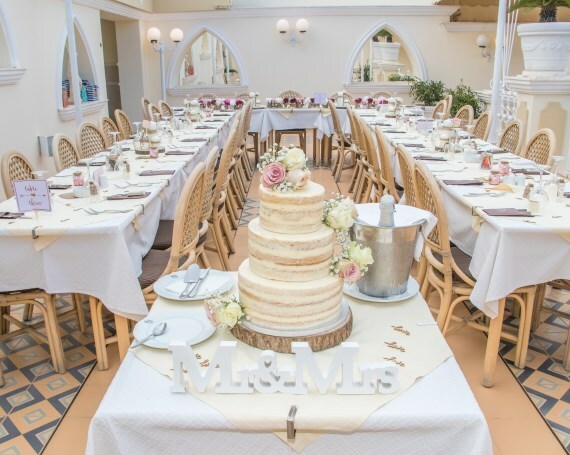 The staff will go out of their way to ensure you have a fantastic experience on your wedding night, and you will most definitely want to return. Facing the sea the views in the evening are breathtaking and offer a little extra romance to the evening. Why not have a few photos with friends, family or even cut your wedding cake on the beach. A great venue for letting off fireworks too. Kalithea Spa is a very popular choice for your wedding reception venue. You may have your wedding reception at Kalithea whether you have your ceremony at Kalithea or one of the other wonderful Rhodes ceremony locations. You will have an area in the main café bar facing the sea. Your tables will be set in white linen with white wooden chairs. The staff will guarantee you excellent service and an amazing evening. The menus can be adapted to your own preference and you may have as little or as much as you wish for. Kalithea Spa really is a location that ticks all the boxes for a wedding ceremony and reception in Rhodes. Ammades Restaurant and Taverna is a sophisticated venue located on the long sandy beach of Faliraki. 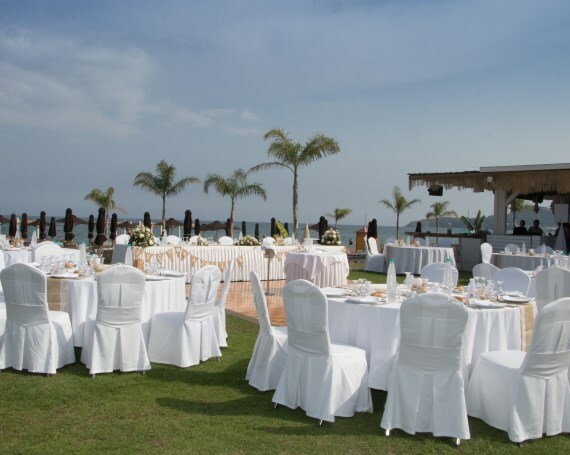 It is just perfect for beach-side weddings and receptions. Boasting attention to detail, superb service, and gastronomic delights, this chic restaurant and taverna offers a comprehensive menu selection to suit all tastes. There is a large bar area, with plenty of space for a DJ and dance floor. 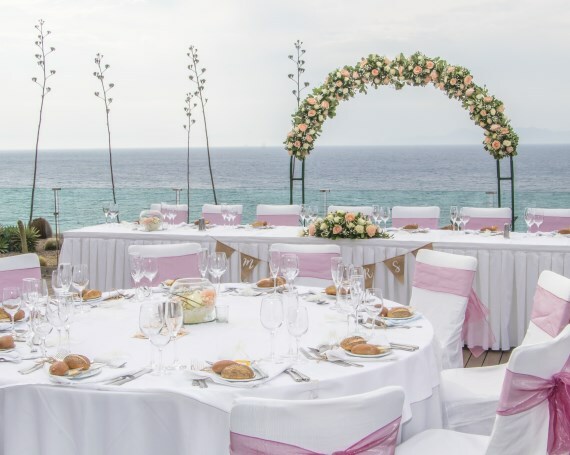 The Ammades is a good choice for reception venue for the ceremony locations of St Sofia Chapel, Ayios Apotsolos and Kalithea Spa or can be used to host both your beach wedding and reception. What ever you choose, you won't be disappointed. The Sheraton Hotel has a private decked area on the 7th floor, boasting views of the west coastline. The service at the hotel is second to none, and the sunset in the evening will take your breath away. This venue really is in a class of its own. The menus are suitable for everyone, offering a large variety for you to choose from. 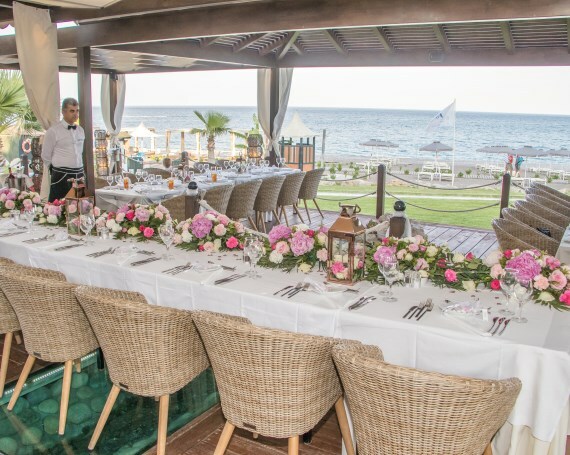 Situated in Faliraki and in a class of its own the Opera restaurant has been decorated to impeccable style and offers a warm atmosphere for you to have your wedding reception. The staff and owners offer a friendly and excellent service which is second to none. There is a large variety of food and wine on their menus that will leave you feeling spoilt for choice. This is a popular venue within the hotel grounds. The Thalassa Gourmet Restaurant is situated in the garden area facing the coastline. You can arrive by boat directly outside and later in the evening have some wonderful sunset photos taken. Its decked gazebo area makes your wedding reception feel airy and spacious and has enough room for dancing. The hotel offers exceptional service and the staff are all extremely friendly and experienced in dealing with weddings and events. If you are looking for an exquisite reception venue for your Rhodes Wedding then look no further. The Ippotikon Restaurant is set in the heart of Rhodes Old Medieval Town. The private function room used for your reception can be dressed to suit your requirements and the menus are designed to your taste, budget and dietary requirements. Relax and enjoy a champagne reception as your waiters for the evening will look after and cater to your every need. 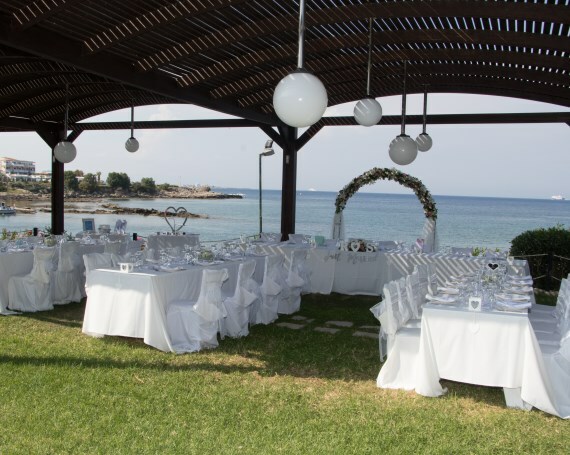 Ippotikon offers excellent food and service and will give you an unforgettable Rhodes wedding reception. 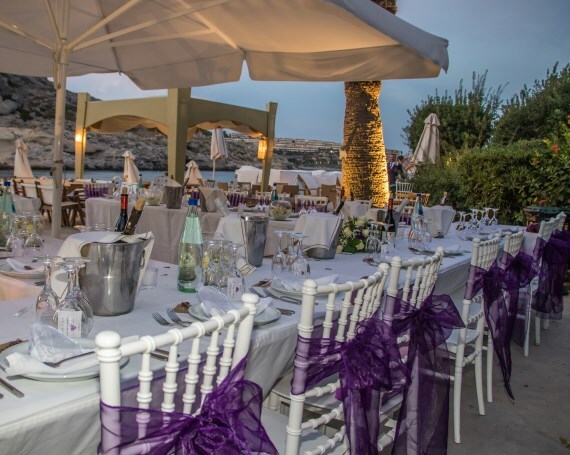 We also offer additional wedding reception venues in Rhodes, please download our Rhodes reception venues brochure or contact us with your requirements and we'll be happy to suggest the prefect venue.